I qualified in 1996 from Queen Margaret College with a BSc (Hons) in Physiotherapy. 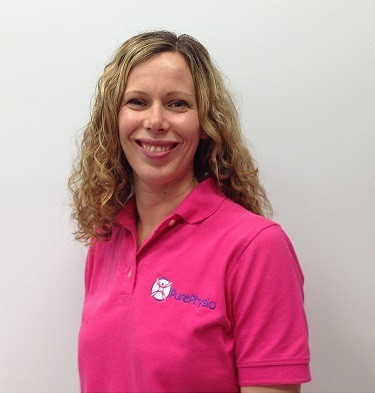 I worked for 10 years for the NHS at St John’s Hospital in Livingston and various Health Centres in West Lothian as a musculoskeletal specialist before making the move to the private sector in 2006 where I was the Physiotherapy Team Leader at The Spire Livingston Clinic. Throughout my career, I have had a wide and varied caseload of both acute and chronic injuries, and more recently have gained specialist skills in the treatment of recurrent and chronic spinal pain. I am qualified to use acupuncture for pain relief and also treat vestibular and dizzy conditions. My sporting background includes working with a Scottish Premier 1 rugby team for 7 years as their Lead Physiotherapist. I have also worked at the Sports Medicine Clinic at St John’s Hospital. I particularly enjoy rehabilitating athletes of all levels back to their full sporting potential. I have continued my professional development by attending many postgraduate courses including Ultimate Knee Rehabilitation, Athletic Shoulder, Lower Limb Tendinopathy, and have my UKSCA Level 1 Certificate in Strength and Conditioning amongst others. I worked for an occupational health physiotherapy company and travelled over Scotland doing DSE and workplace assessments. I became a manual handling trainer in 2002, a role that I currently continue with. Outside work, when not busy with my twin boys, I enjoy cooking and going to the gym. I used to be heavily involved in athletics which is when my interest in physiotherapy started and competed for Edinburgh Woollen Mill and latterly Scottish Borders in the 100m, 200m and 400m. PurePhysio are able to accept patients registered with the following private health care companies - AXA, BUPA, AVIVA, Vitality, CIGNA and WPA. We are also registered with Nuffield and IPRS. PurePhysio are able to offer daytime and evening appointments at Flexspace Business Centre in Livingston. Please call or email to book an appointment. We are open 3 evenings a week! Evening appointments from 5pm are available at Armadale Community Sport Hub. Please call or email to book an appointment. Click to like our page.